Time out of Mind - Dublin 2012 - Time out of Mind brought together the works of leading Irish and international artists. 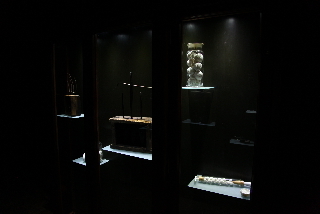 The exhibition responded to the various cultural and intellectual layers of Earslfort Terrace, in particular the building's former scientific function as part of the National University's Medical School. Jobst Graeve was invited by the Irish Museum of Modern Art to curate the section around Marie Foley's work 'The Last Judgement'.